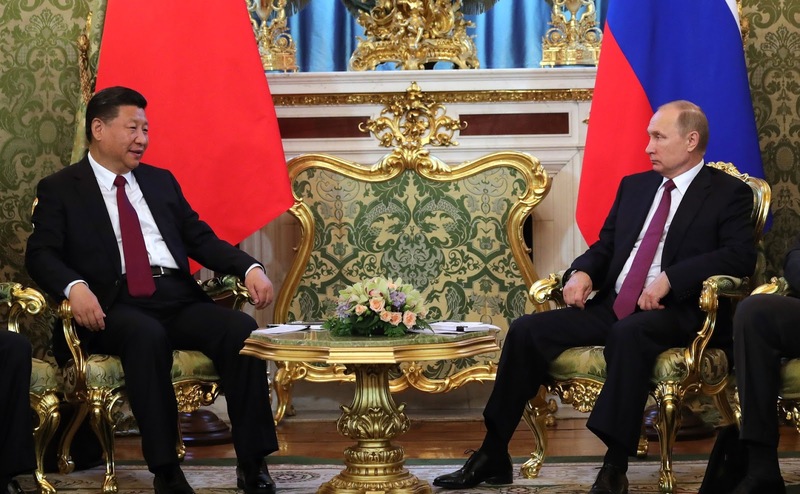 Putin.BLOG China Foreign Policy Russian-Chinese talks in Moscow. 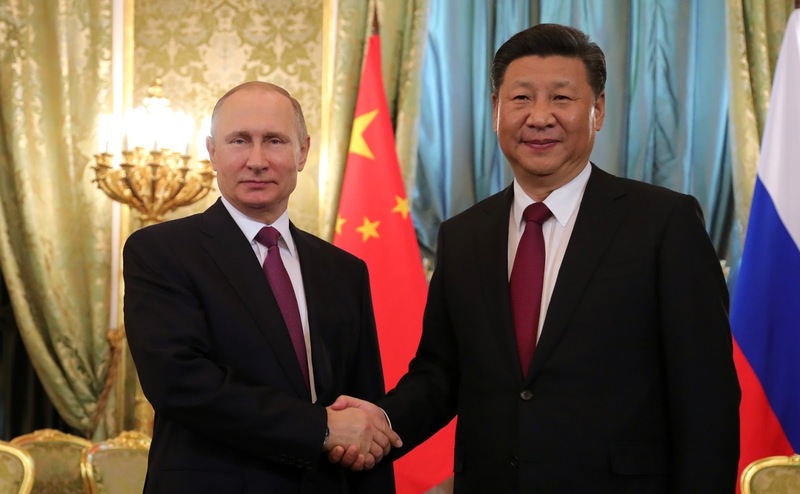 Vladimir Putin and President of China Xi Jinping, who has come to Russia on an official visit at the invitation of the Russian President, met for talks in the Kremlin. Vladimir Putin with President of the People’s Republic of China Xi Jinping. During the restricted format talks, the participants discussed political, trade and economic, military-technical, and humanitarian cooperation between the two countries. During the consultations attended by delegation members, the in-depth discussion of the agenda continued. 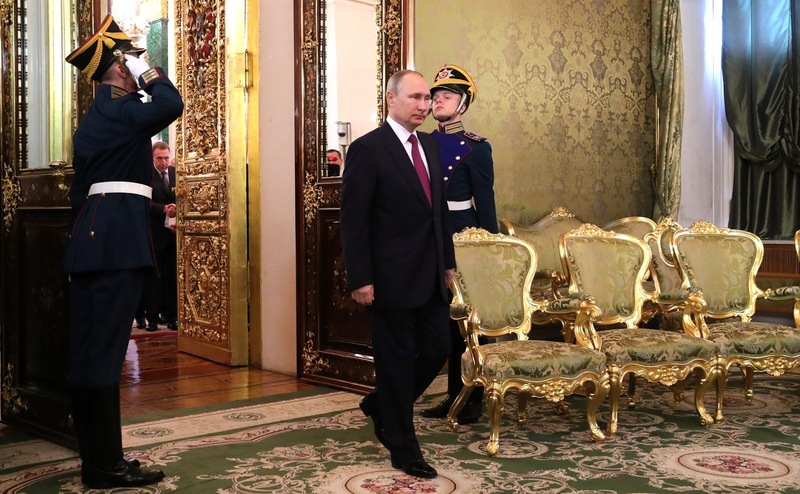 Before the expanded talks, the President of Russia presented to the President of China the Order of St Andrew the Apostle. 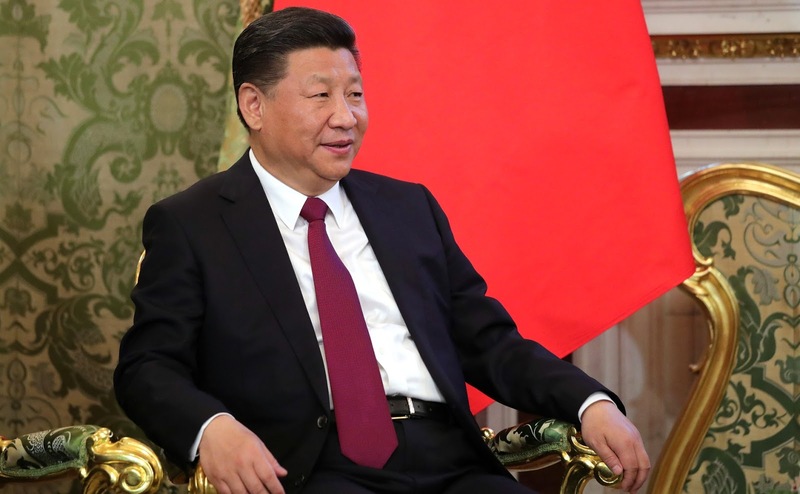 Also, as part of the Chinese President’s official visit to Russia, Vladimir Putin and Xi Jinping met with representatives of public organizations, and the business and media communities of the two countries. Based on the results of the Chinese President’s visit to Russia, Vladimir Putin and Xi Jinping signed a Joint Statement of the Russian Federation and the People’s Republic of China on the Further Expansion of Comprehensive Partnership and Strategic Cooperation and a Joint Statement of the Russian Federation and the People’s Republic of China on the Current Status of Global Affairs and Important International Issues. 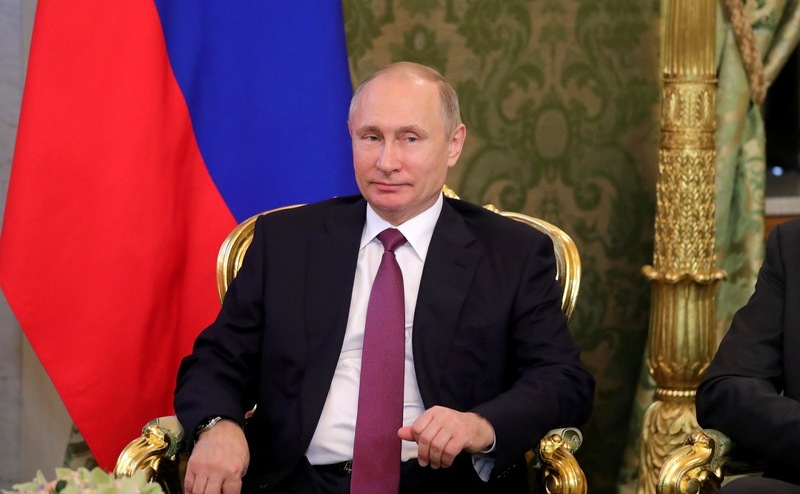 Moreover, the two leaders approved an Action Plan to implement the Treaty on Good-Neighborliness, Friendship and Cooperation between the Russian Federation and the People’s Republic of China for 2017–2020. In the presence of the President of Russia and the President of China, Russian News Agency ITAR-TASS signed a cooperation agreement with Chinese Holding People's Daily, and Channel One Russia and CNV-Satellite TV Program Co Ltd. signed an agreement on the broadcast of Katyusha, a Russian television network, in China. In addition, the two countries signed a memorandum of understanding on cooperation in developing the information space. Other documents signed were related, in particular, to the development of high-speed trains and other railway technology in Russia, joint project financing, including projects implemented as part of national technology initiative, the establishment of a Russia-China fund for investment cooperation in national currencies, as well as oil and gas sector agreements, development of Primorye 1 and Primorye 2 international transport corridors, agricultural cooperation, and joint film production. The Foreign Ministry of the Russian Federation and the Foreign Ministry of the People's Republic of China signed a Joint Statement on the Korean Peninsula issue. A number of documents were signed by private companies on the sidelines of the visit. Vladimir Putin and Xi Jinping also made statements for the press. Beginning of talks with President of China Xi Jinping. Vladimir Putin before the beginning of a meeting with President of China Xi Jinping. We invariably have economic matters at the top of our agenda, but they are not the only issues we address. We also coordinate our efforts on the international stage, in the area of security and in the fight against modern threats and challenges. We are glad to have this opportunity to engage in an in-depth discussion of all aspects of our cooperation with you, Mr. President, and all our Chinese friends in various formats. President of the People’s Republic of China Xi Jinping. Mr. President, my good friend! My dear Russian friends and colleagues! I am happy to be able to make one more state visit to Russia. Upon our arrival here yesterday, we were given a warm welcome and felt your genuine friendship and attention. We highly appreciate this friendship. I am deeply impressed. China and Russia are good neighbors that are connected by rivers and mountains. We are reliable friends always eager to help and support one another. In addition, we are reliable and good partners maintaining close and effective ties. 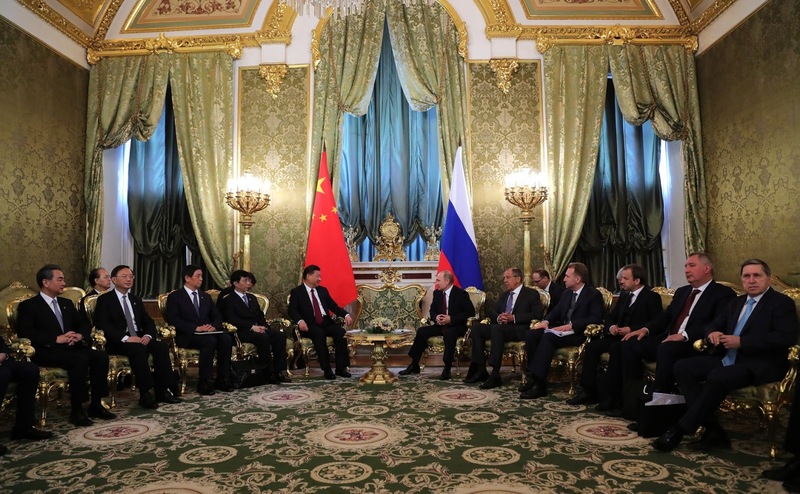 Russian-Chinese talks in the Kremlin. Vladimir Putin meeting with President of the People’s Republic of China Xi Jinping. 0 Comment to "Russian-Chinese talks in Moscow."